The February 2019 Monetary Policy brought an end to the sleepless nights of those in the accounting profession in Zimbabwe. The US Dollar had been unanimously declared the functional currency as the multiple currency regime was introduced in 2009. However, as the years went by, the dominance of the dollar started being questioned as variants of the evidently weaker bond notes, RTGS and mobile money. It became more and more unrealistic to continue reporting in US dollar whilst complying with the fair presentation principle. Whilst there was multiple pricing in the economy, where different prices were quoted for the same commodity depending on mode of payment (Ecocash/Bond notes/RTGS/USD), the central bank was adamant to maintain that all forms of money (Ecocash, Bond notes, RTGS) were at par with the US Dollar. Statutory Instrument 122A of 2017 actually introduced consequences of illegal currency trading at exchange rate other than 1:1. The pronouncement of the RTGS Dollar as the new born in the basket of multiple currency was confirmation that indeed the money in the banking system was not US Dollar and that the US Dollar is no longer the dominant currency for the buying and selling of goods and services. The Monetary Policy Statement (Reserve Bank of Zimbabwe, 2019) indicated that The RTGS Dollars shall be used by all entities for the purposes of pricing of goods and services, recording debts, accounting and settlement of domestic transactions. It is without doubt that the RTGS Dollars is the Functional Currency in Zimbabwe. IAS 21: The Effects of Changes in Foreign Exchange, (IFRS Foundation, 2016), para 17, states that in preparing financial statements, an entity should determine its functional currency and translate foreign currency items into its functional currency and report the effects of such translation. 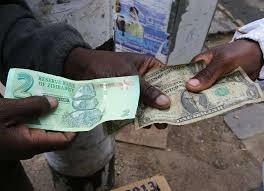 Since we have established that the RTGS Dollar is now the functional currency, it follows that entities in Zimbabwe should report in RTGS Dollars, translating all other currencies into the RTGS Dollars.The standard also permits entities to present their financials in any currency which would ensure fair presentation for the users. Reasons for such presentation would need to be disclosed. It then follows that NPOs in Zimbabwe can to present the actual financial statements using a different presentation currency to its functional currency as long as the reason is disclosed and this might be the case if the donors require them to present using the currency in which they received the donations or as per the requirements of the agreement. Most NPOs receive most of their funding in hard currency – US Dollars, Euros etc, and they conduct most of their activities using such currencies and this could provide reasonable grounds for consolidation and presentation in US Dollars rather than RTGS. Statutory compliance may also call for presentation in US Dollars. The 2019 National Budget Statement (Ministry of Finance and Economic Development, 2018) provided that taxes should be paid in the currency of trade. It follows that NPOs should be paying their taxes (PAYE mainly) in US Dollars. The yearly financials (ITF 12C) and other reports (e.g ITF 16) would be fairly presented in US Dollars in order for Zimra to determine any taxes that may be due. However, further guidance should be sought from the tax authorities. On the other hand, organisations registered as Private Voluntary Organisations have a mandate to produce Audited Financial Statements for purposes of inspection by the Ministry Of Labour and Social Welfare. The Ministry may, for their purposes want to have financials prepared in RTGS Dollars for their reporting and comparison purposes since the RTGS Dollars is the functional currency in Zimbabwe. This may oblige NPOs to also prepare Financial Statements stated in RTGS Dollars. The providers of funding may require organisations to submit financial reports in their currency of choice. It would be necessary for the NPOs to continue adhering to such regulations. All the bank accounts need to be identified as either Nostro FCA or RTGS Dollars accounts. Depending on the presentation currency of the specified financial statements, all balances need to be restated in the presentation currency and any exchange rate gains or losses should be recognized. The gazetted Statutory Instrument 33 of 2019 (The Government Gazette, 2019) that brought life to the RTGS Dollars on 22 February stated that for accounting and other purposes, all assets and liabilities that were, immediately before the effective date, valued and expressed in US Dollars immediately before the effective date shall be deemed to be balances in RTGS Dollars at the rate of 1:1 against the US Dollar. Hypothetically, this means that if a given entity owed the NPO an amount of US$1,000 for a transaction that occurred before 22 February 2019 and payment was to be made to an RTGS FCA account, the balance soon after the issue of SI 33 of 2019 would be RTGS$1,000. The same applies to balances due to suppliers and not contracted under Nostro FCA payment conditions. From the analyses given above, it will be likely that NPOs would need to be prepared to report in both RTGS Dollars and US Dollars in order to cater for the needs of the various users. Whilst the funders might prefer financial statements stated in US Dollars, regulators might require financials in the functional currency (RTGS$). Fair presentation for taxation purposes might also oblige NPOs to also report to Zimra in US Dollars because they are required to settle their taxes in the currency of trade.